NewBiz is a modern and stylish corporate/business HTML website template crated with the Bootstrap Framework. NewBiz is packed with features that will get you launch your website in no time. 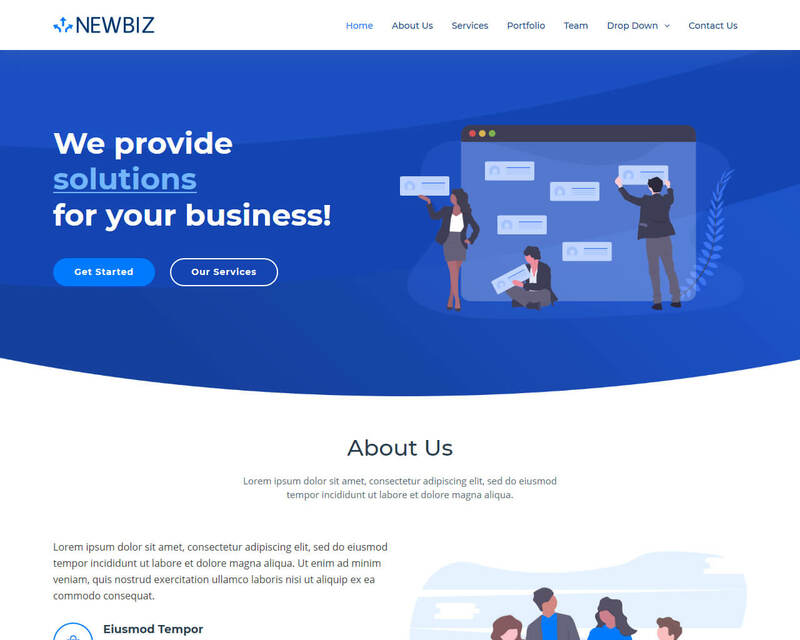 Stunning, professional and advanced free business website template, NewBiz is here for all the business, corporate or agencies out there. With the light and fully responsive layout, NewBiz makes sure your users are hooked immediately regardless of what device they use. On top of that, NewBiz is compatible with all major web browsers, retina ready and fine-tuned for insanely great performance. Some other handy features of the NewBiz template are services section, portfolio listing, hover effects, functional contact form with a trendy and modern design touches. Designed for use in many business websites, like: corporate, digital marketing, software mobile app, consulting, digital studio and many more. NewBiz is fully responsive and retina/HIDPI ready making it pixel perfect on any devices.